Rediscovered in Japan in the early 1900's by Dr Mikao Usui, reiki is made up of two Japanese words; 'Rei' which means 'universal' and 'Ki' which means 'life force energy'. It was bought to the West in the early 1940's and reached Europe in the 1970's. Eastern medicine has always worked with this energy which flows through all living things, for example with Tai Chi or acupuncture. When the 'life force energy' is flowing freely, people are generally healthier and happier. ​​Holy Fire III/Usui reiki is noticably more refined and comes from a higher level of consciousness. 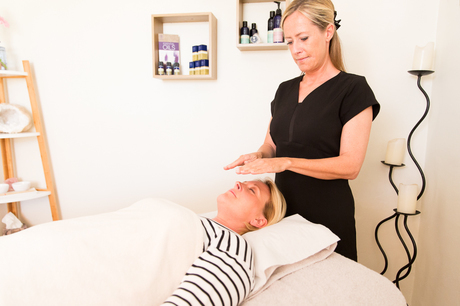 Reiki is increasingly being used in various locations, including private practice, complementary therapy centres, hospitals, GP surgeries, hospices, cancer support groups, post operative recovery and many more. Reiki is a gentle yet powerful energy and is administered by a practitioner who serves as a conduit, through whom the energy can be transmitted. Reiki can enhance everyday living, promoting a state of overall wellbeing or be beneficial in a time of stress, illness or injury. When the flow of 'life force energy' is restricted or blocked, both emotional and health problems tend to occur.